When Jay Wilson posted an apology on the Blizzard forums, explaining why exactly he said a pretty nasty thing about David Brevik, one of the major forces behind both previous Diablo games, I was ready to take it with a pinch of salt. Dismiss it as Blizzard forcing him to do a touch of damage control. Treat him like a businessman, a mouthpiece for a company in the same way these things usually are. Except this apology isn’t just heartfelt in regards to David Brevik, it’s also incredibly honest, and earnest, about Diablo 3 in general, but more specifically its flaws. Which isn’t something you ever really hear a developer be. 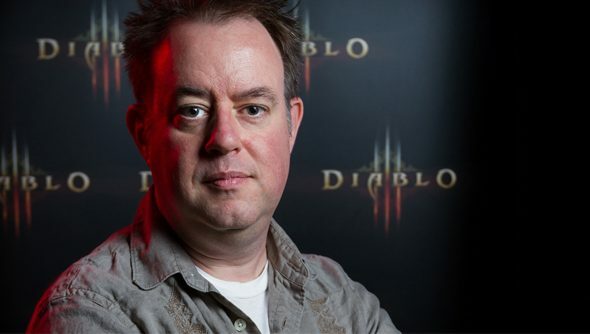 “I have higher expectations for myself than to express my feelings in such a rash way and disrespect a fellow developer like Dave, someone who deserves to be treated with greater respect.” The post starts, before going on to detail not only how important Brevik was to both Diablo games, but what those games meant to Jay Wilson as a child growing up, and as an adult. “When Diablo II was released, I took a week off work and sent my wife out of state… and she was pregnant at the time! I played Diablo II with my dad during one of the most difficult times of his life, and the experience brought me closer to him, and I hope helped him through it. I joined the Diablo team because the idea of a world without more Diablo seemed like a pretty crappy world to me. I wasn’t sure if I’d be good enough. I’m still not sure. But I felt I had to try.” This candid tone doesn’t stop after the apology, instead continuing on to talking about Diablo 3. What’s so interesting about this is that you neverhear developers admitting fault like this. PRs jump in front of them like a bodyguard protecting a watermelon, zipping mouths shut and making sure no one has a change to say anything disparaging about the game. Not least because, for the most part, once a game is done, it’s done. They can’t change these things. Every problem identified is going to be a problem forever marked. These are the problems Brevik identified, and it was him identifying them that had Wilson lash out and say what he said. This post, then, is the response that he should have given at the time; an earnest, honest breakdown of the problems in the game, and what they’re doing to fix them. To put up his hands and admit that Brevik knows what he’s talking about, but these problems aren’t news to Blizzard. They’re fixing them as best they can. Things like optional difficulty, an improved auction house and a better game experience for everyone are on the to do list, it’s just going to take a little while to get there. And, after all that honesty, I think I’m happy to be a little patient right now.